Philadelphia Primary Care Clinic finished! 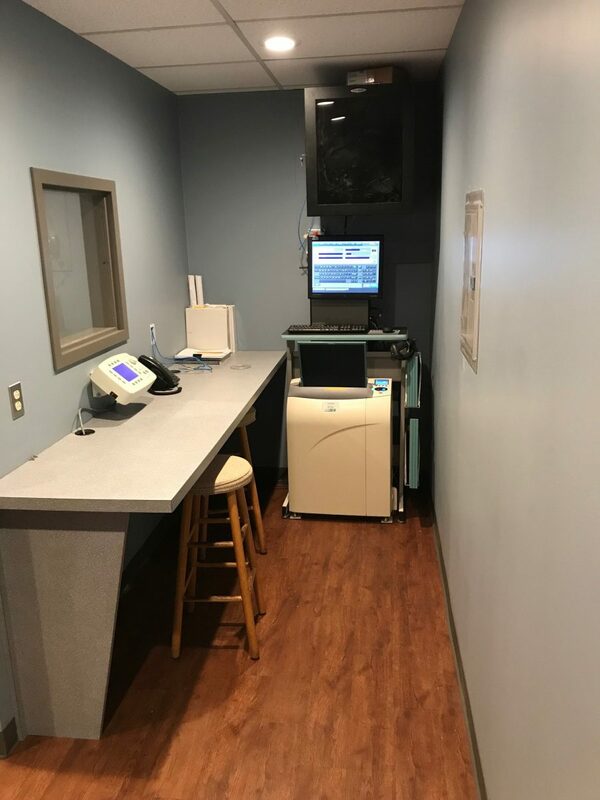 An Atlanta, GA based Primary Care clinic opened their fourth clinic in North East Philadelphia. 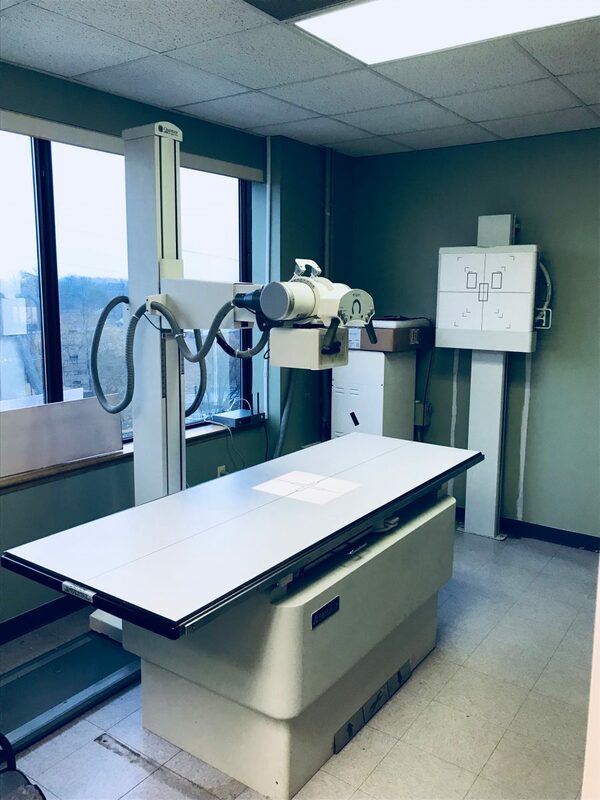 The CMS team just wrapped up the installation of their digital X-Ray, consisting of 40kW CPI H/F generator, Del Medical table, tubestand, wallstand, Fuji DEVO 14″X17″ wireless DR and Paxerahealth PACS. 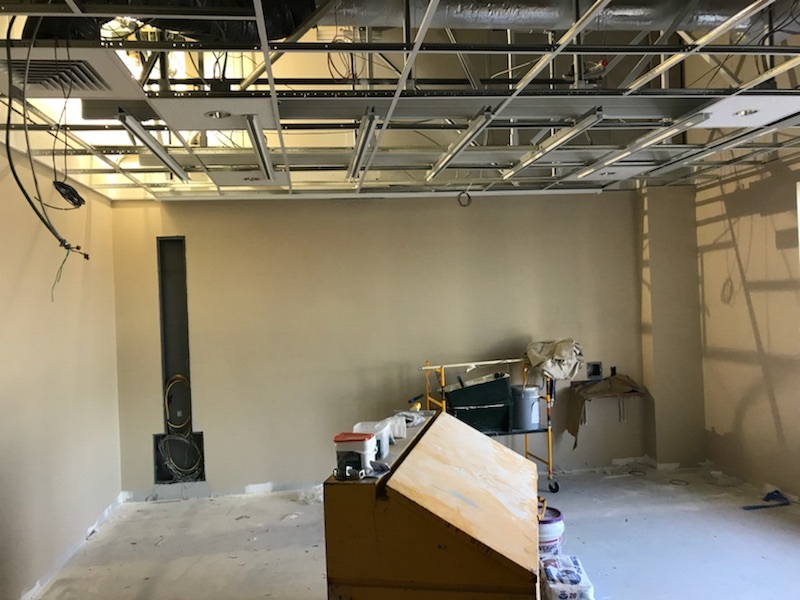 CMS assisted this customer (as we do all of them) throughout the entire process from site plans, physicist accreditation & inspection, construction management and of course…install and training. 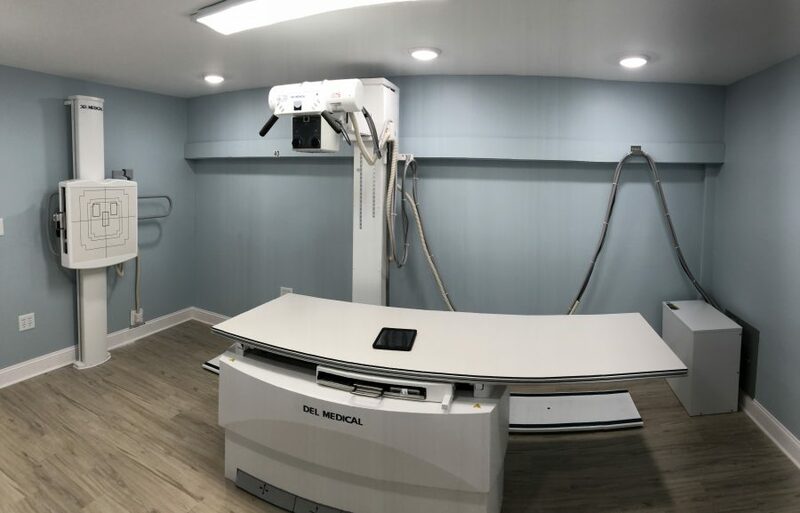 From primary care clinics to orthopedics to 3D Mammography systems, we do it all! Call today or click here. 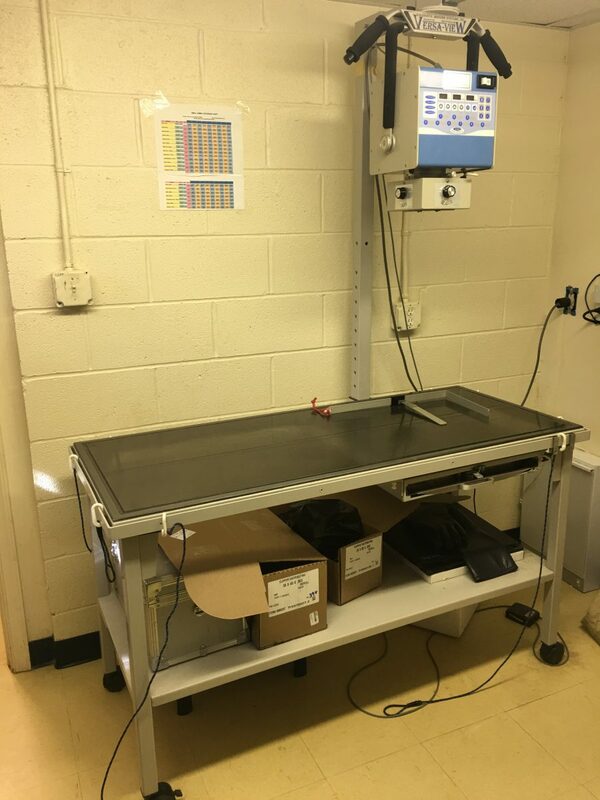 Equipment floor plan from CMS, Inc.
Del Medical relocation in Montgomery County, PA.
One of the projects the CMS team completed last week was the relocation of a 50kW Del Medical radiographic system with Fuji CR for a hospital group in Montgomery County, PA.
Downtime during construction?? Nope! We keep this center serving the community with a small digital portable system. CMS has a fleet of rental systems in stock and ready to go for situations like this. To see the full line of Del Medical equipment CMS offers, click here. Contact us today to discuss upgrading your system, 800-333-5643. Del Medical 50kW Anthem generator control with Fuji XL2 CR. 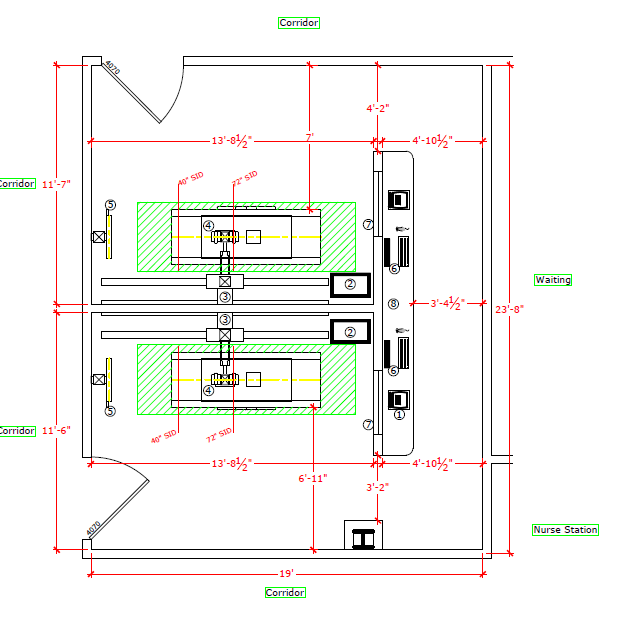 NIR…what is it? Who is it? 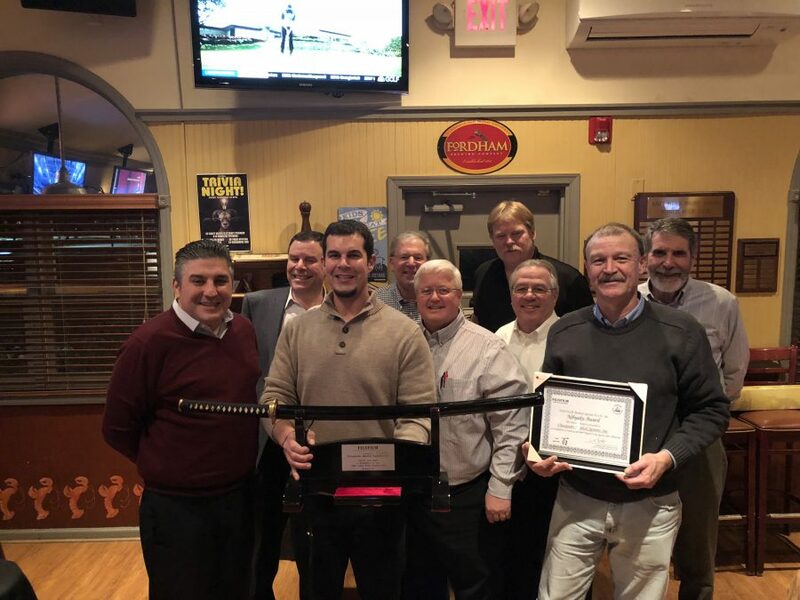 National Imaging Resources is a group of elite Diagnostic Imaging dealers who banded together to create a “super group“. CMS is proud to be a part of this. We just held our 2nd annual meeting in Nashville, TN, it was a complete success. 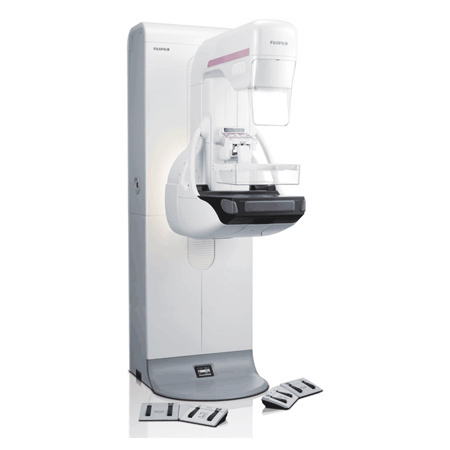 Fuji Aspire Cristalle 3D Mammography now available! Comfort paddle contours to each patient to increase comfort. 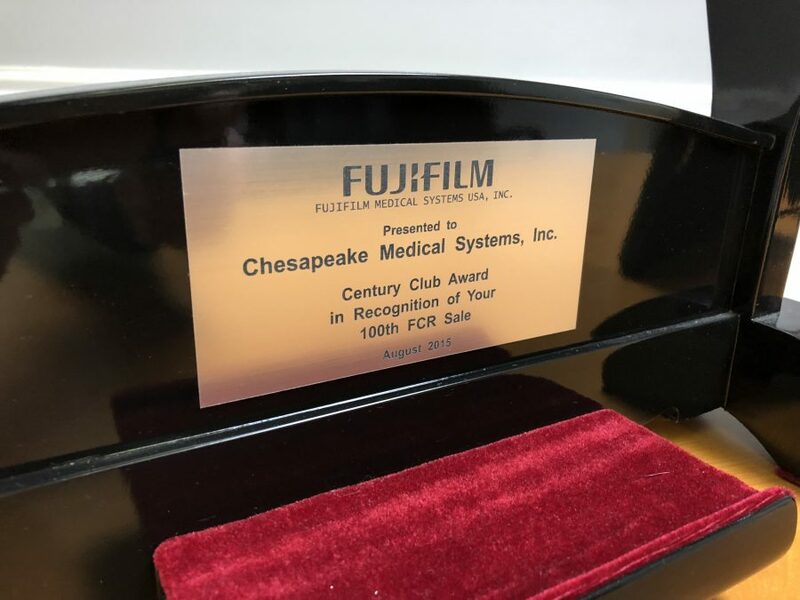 Chesapeake Medical Systems, Inc. is pleased to announce our expanded product portfolio of Fuji products. 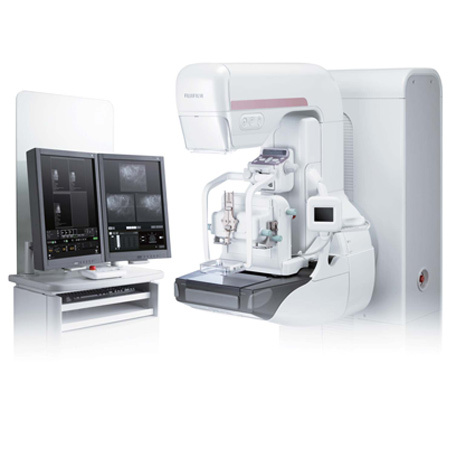 The product we’re most excited about is the Mammography system. 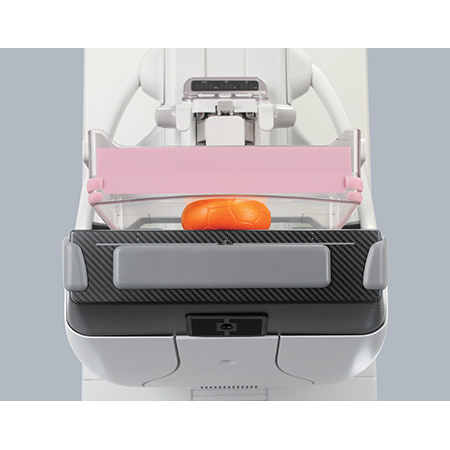 Utilizing state of art Digital Breast Tomosynthesis, Hexagonal Close Pattern pixel design, and Comfort Paddles to increase patient comfort. Anyone shopping for a new system needs to take a look at this system. Take a look at the product page here. Call us today to set up a site visit, 800-333-5643. 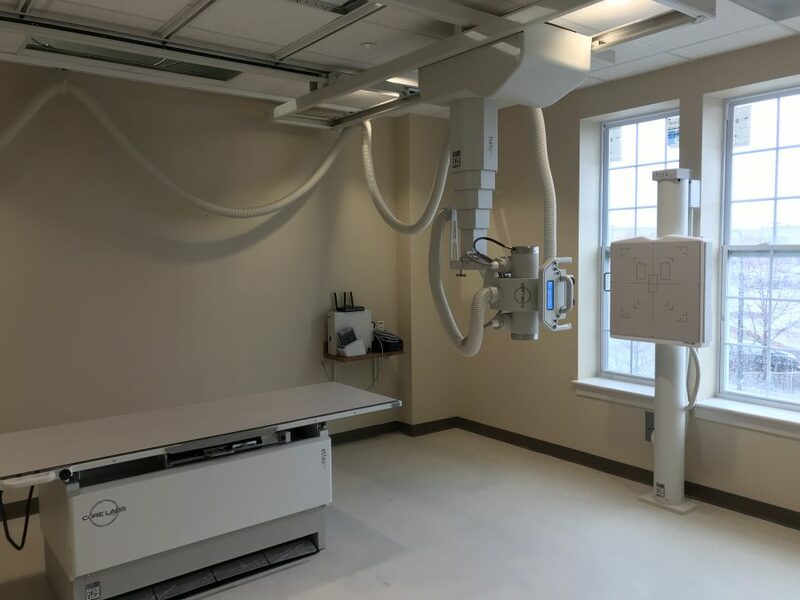 Imaging Center in Chester County, PA Finished! It takes more than a late Winter nor’easter storm to keep the CMS team from completing another installation. 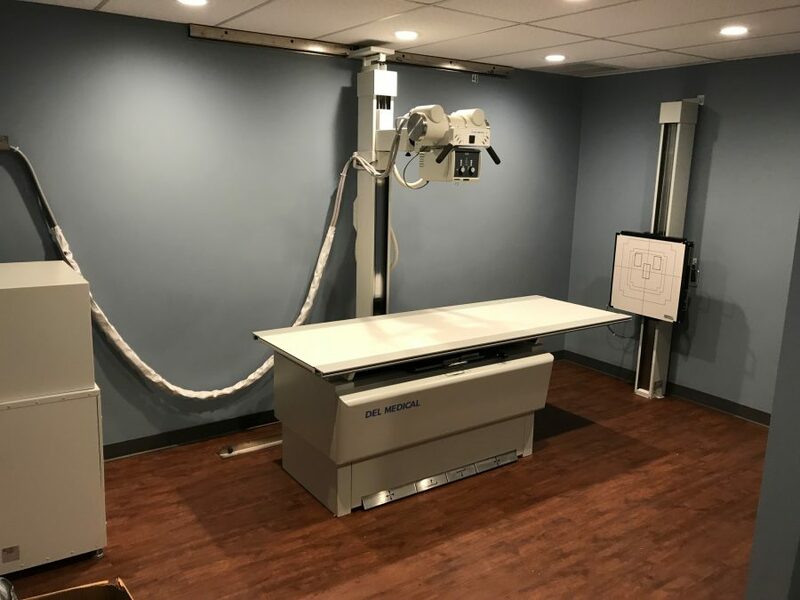 We just finished a new imaging center in Chester County, PA. We provided this center a new CoRE Labs radiographic system with 65kW CPI H/F generator, Atlas elevating table, Halo overhead tubestand, Flora wall stand with Fuji DEVO wireless DR with long-leg stitching kit. 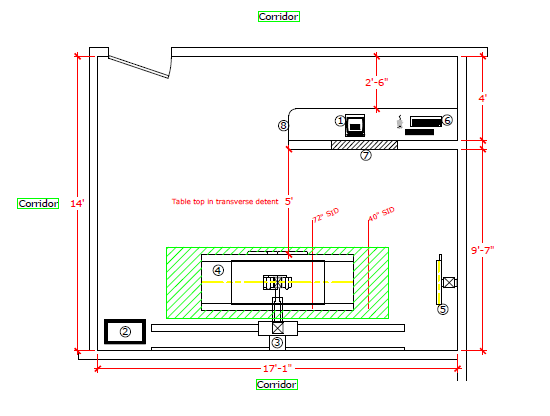 Every project starts on paper (or well it use to, now it’s AutoCAD) with a layout showing the equipment in the room. 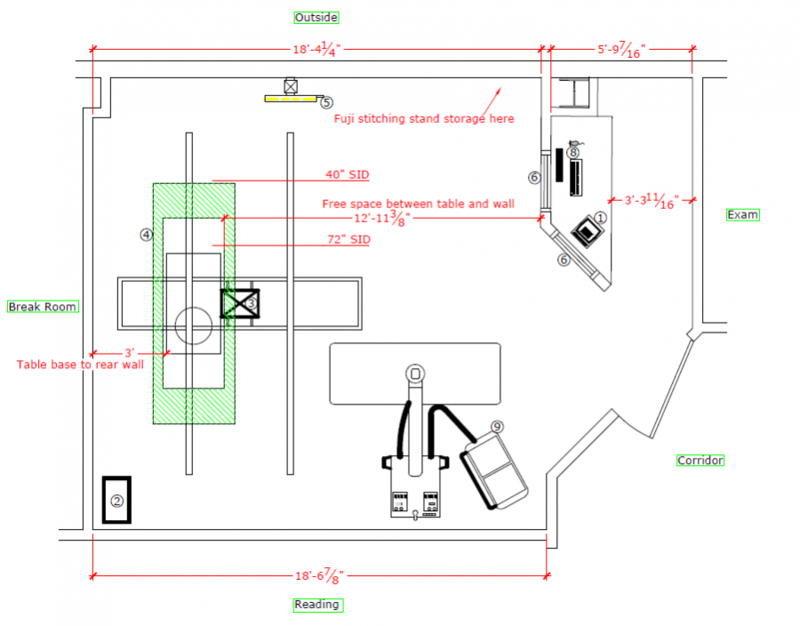 Once the customer approves a layout, we draw plans for the contractor to build from. Contact us today! 800-333-5643 or click here. Last weeks project was another great success for the CMS Team. This Orthopedic clinic in Anne Arundle County, MD had it’s challenges. However, expert planning, decades of experience and due diligence paid off. 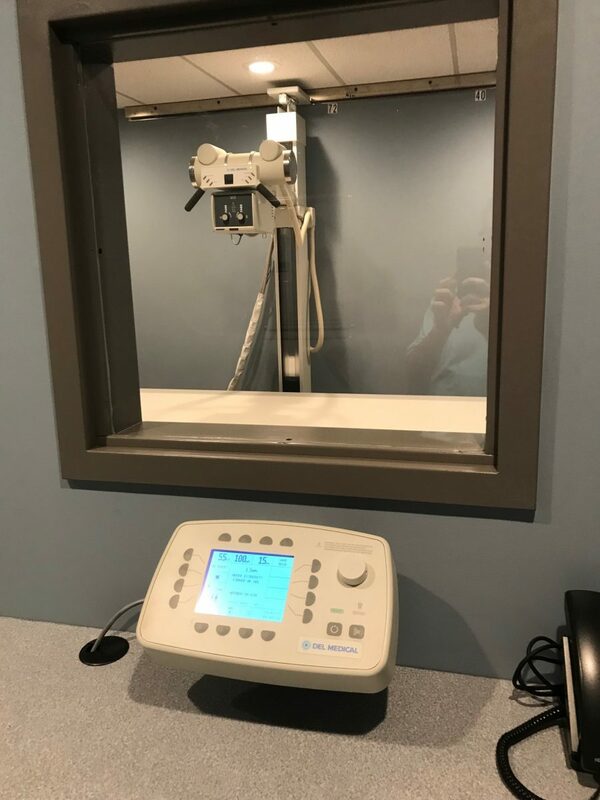 The end result is a happy customer, satisfied patients and outstanding image quality while lowering the dose from their CR. 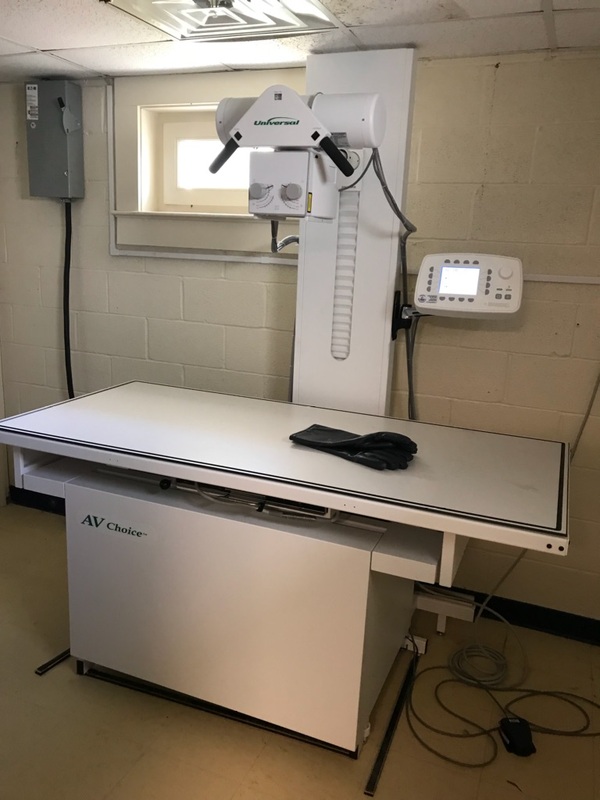 We provided this customer with a pre-owned Quantum H/F radiographic system with AGFA 40G wireless DR system with Musica 2 image processing. 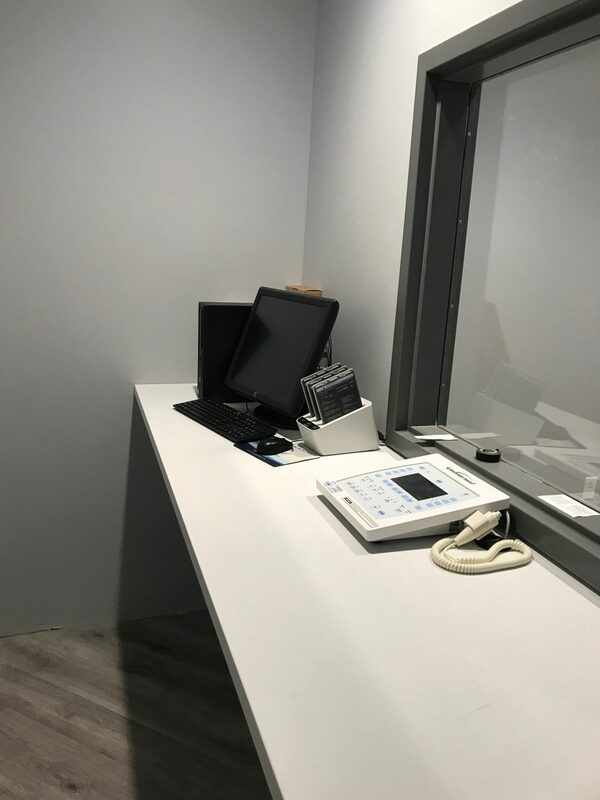 Contact the CMS team today to upgrade your orthopedic clinic. 800-333-5643 or click here. 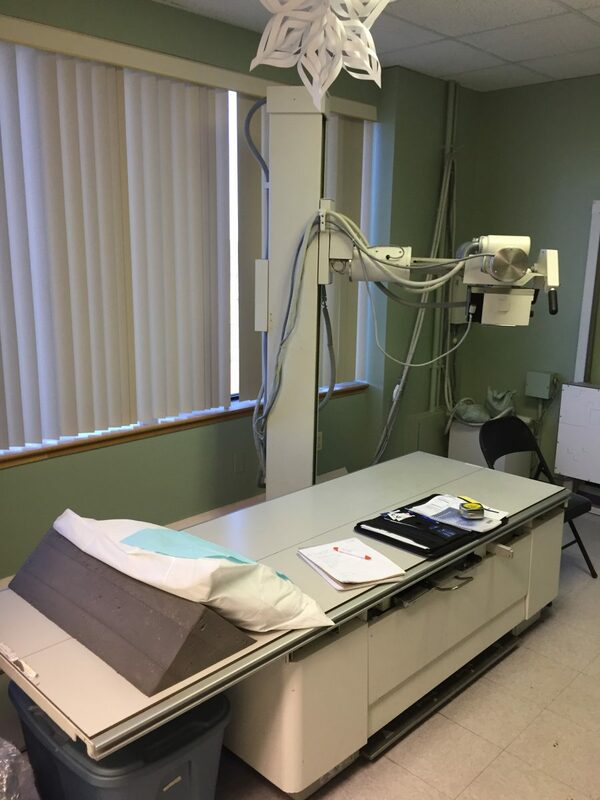 30 year old radiographic system to be removed. 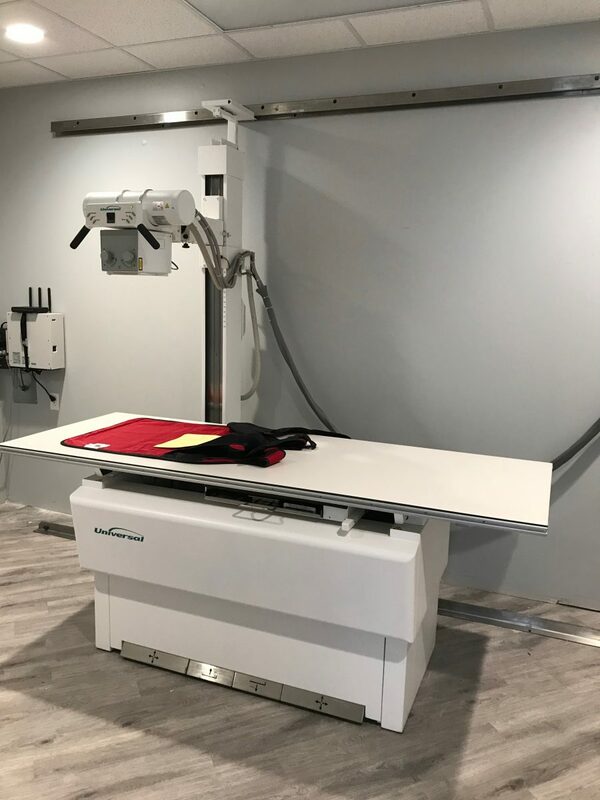 Pre-Owned Quantum radiograhic system with AGFA 40G DR w/Musica 2. 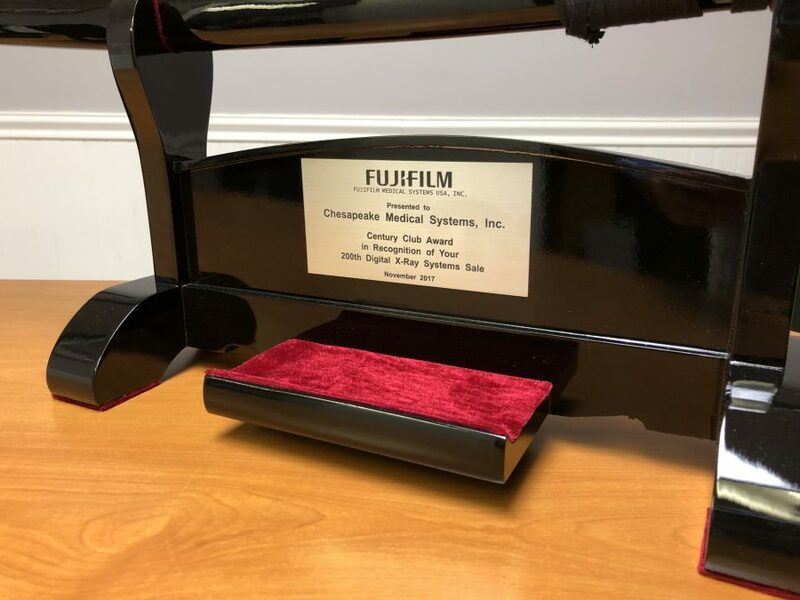 The CMS team is honored to receive our 2nd FujiFilm sales award in the form of a Samurai Sword! This is the definition of a team effort. 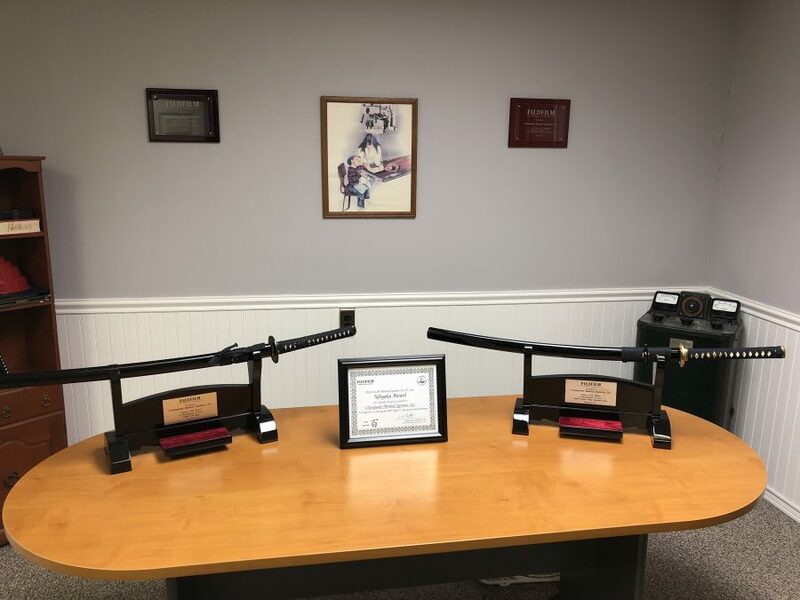 Achieving this level of success is no accident or small effort, every member of our team plays a vital role in offering superior patient care and customer satisfaction. 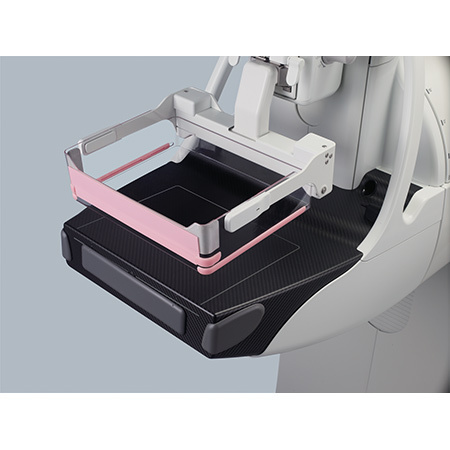 We’re also pleased to announced our expanded product offerings from Fuji, including the ASPIRE Cristalle 3D mammo system, DEVO II panels with anti-bacterial Hydro ag coating which reduces bacteria by 99.9%. Contact us today to schedule the demo for your dept., 800-333-5643. Browse our Fuji products here. 100th & 200th Sales Awards from FMSU.